The FIM has confirmed the final calendar for the remainder of the 2016/17 Endurance World Championship, which got underway at the Bol d’Or in September. 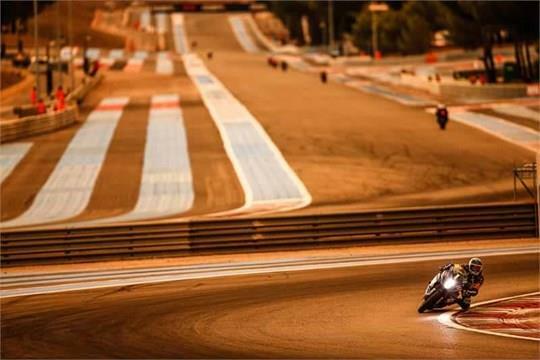 It had been hoped that the series would be able to run over the winter months, starting at the Bol d’Or and then concluding at the prestigious Suzuka 8 Hour in July. However, with no addition of any rounds in the southern hemisphere, the series wasn’t set to resume until March next year with a round at Portimao. Now that wait will be even longer, with the round scheduled for the Algarve circuit delayed until the 2017/18 season to allow them to ‘consolidate preparations to host a major Endurance race.’ Organisers have also cited that concerns over the delayed arrival of Honda’s new Fireblade and Suzuki’s GSX-R meaning some teams won’t be ready in time for March. The second round of the series will now take place between 15th and 16th of April next year. The date of the Oschersleben 8 Hour has been moved to 20th May, with a new round at the Slovakia Ring now scheduled for 24th June, before the series concludes at Suzuka on 30th July.